If Pottery Barn were a person, we would totally be best friends. 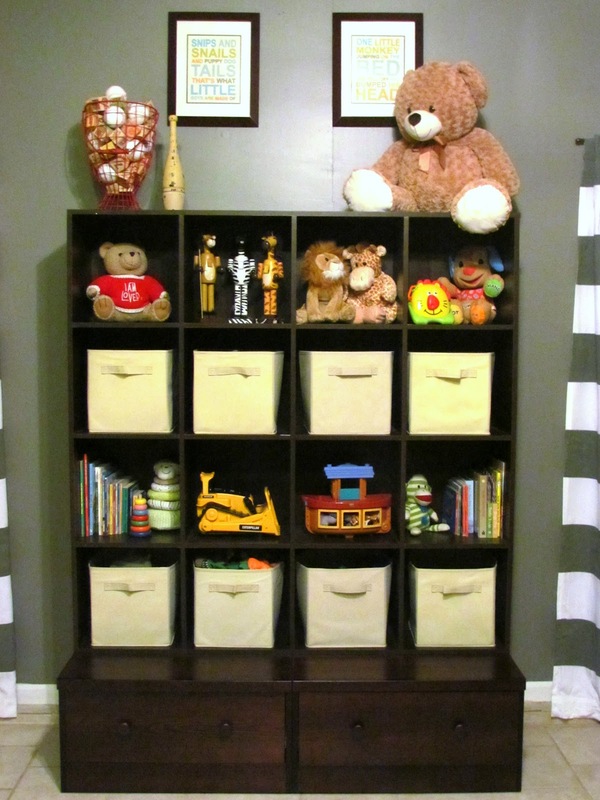 I fell in love with the huge wall storage systems they have on their PB Kids site. The set ups they had were perfect for our bonus room/den where we would make Lucas' play area. The only problem, what I wanted would cost $1300 through Pottery Barn, not including the shipping. Whoa, hold the phone! No way was I going to be able to slide that one by the hubby. 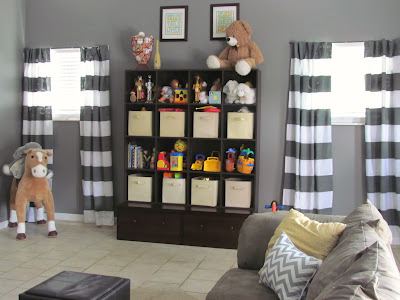 I could see it then, that look 'woman, you have got to be crazy' and then saying our then newborn did not need a $1300 storage system for his 5 toys that he had. :) Yes, he was right, but oh men; can't live with them and can't live without him... but someone's got to open the jar lids for me :). So of course, I was bound and determined to get what I wanted at a much cheaper DIY price even if I had to cut down the tree myself and make it... ok, maybe not that far :). 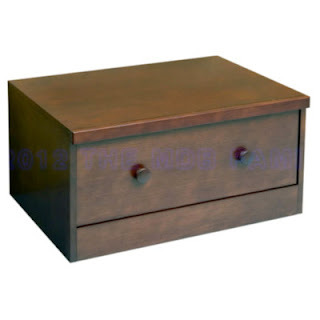 I researched for several months looking at drawers, organizers, cubbies from practically every store measuring out drawings in every kind of configuration I could think of. Nothing was working how I wanted it and my little storage system dream was slowly circling the drain. Finally, the heavens parted and I came across the PERFECT pieces. I found the EXACT parts I wanted, EXACT color with the EXACT measurements to fit each other. I seriously felt like I had won the lottery, felt too good to be true, but it all worked and measured perfectly. 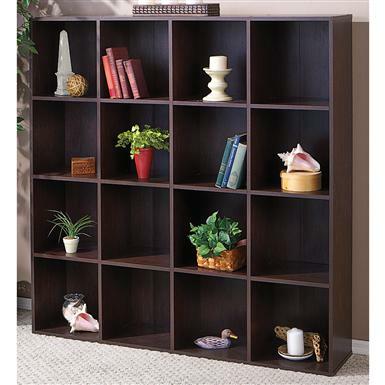 So for $300 instead of $1300, I got the wall storage system I'd been wanting. Hubby gladly put it all together for me and I was one happy wife. It looks great and fills the 10 feet high wall perfectly. Now the real trick, keeping it organized :). Also, be sure to have comfortable walking shoes at your workplace in case an evacuation requires walking long distances.